Main Street has undergone many changes since its beginning in 1745, from a cosmopolitan global thoroughfare at the height of Sag Harbor's whaling days in the 1820s and 1830s to its days as a scruffy blue-collar enclave in the 1950s. Today, village officials, business owners, residents, and visitors converge on Main Street as they go to work, do errands, shop, get coffee, eat a meal, or simply sit and watch the comings and goings of pedestrians, bicyclists, and drivers. Nine blocks between Long Wharf to the north and Jermain Avenue to the south. 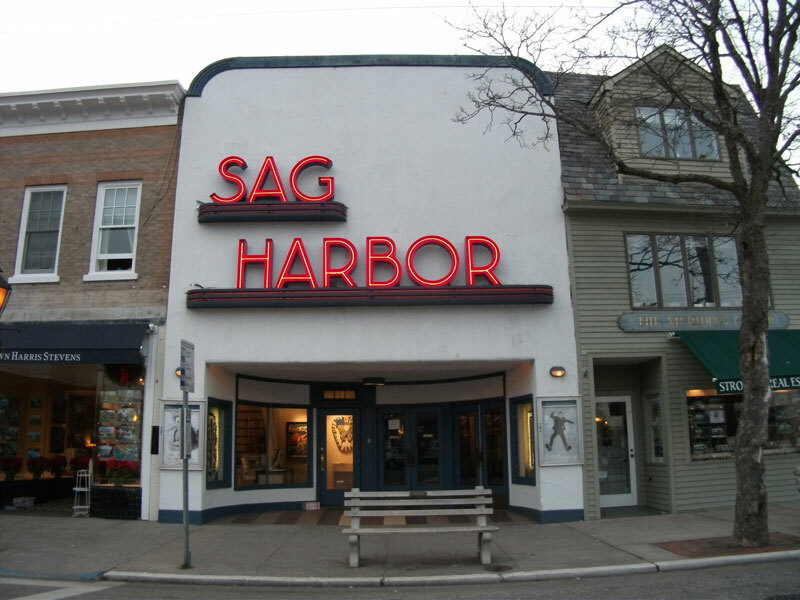 Sag Harbor Cinema. Photo by Flickr user Doug Kerr (CC BY-NC-ND 2.0). There is an unmistakable aura of old wealth, culture and history about flag-lined Main Street where the vestiges of the whaling industry, the village's role in several wars, and the outcomes of four devastating fires are still legible. Since 1972, the village's planning board has been tasked with ensuring that any new development adheres to the requirements of the village's zoning ordinance. Since a large portion of the village was designated a national historic district in 1973, the village's Board of Historic Preservation and Architectural Review has been responsible for ensuring the integrity of historical and cultural landmarks along Main Street and elsewhere in the village. The village also approved measures in 2009 to keep the size and style of new development along Main Street compatible with its historic buildings. Nonetheless, rising property values throughout the village have led to discussion about potential changes to the character and ownership of commercial properties along lower Main Street. 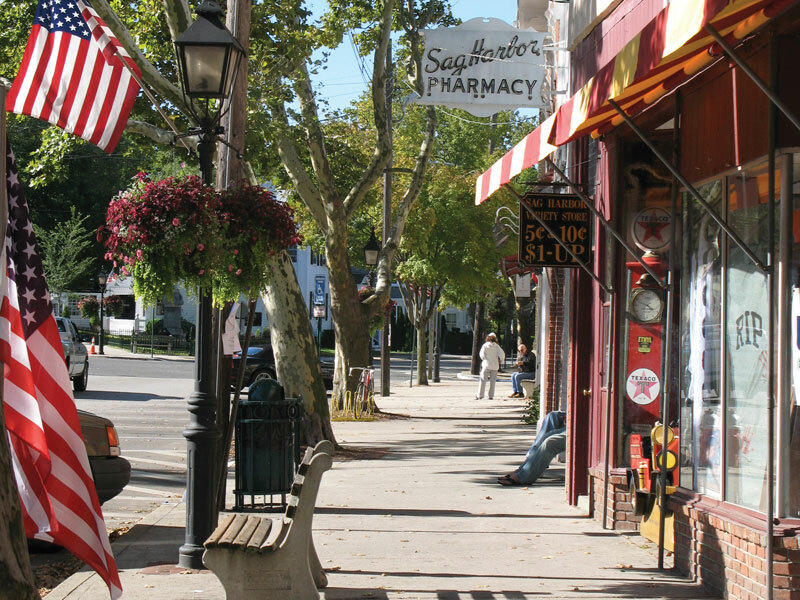 In 2012, The Sag Harbor Express weekly newspaper brought together a group of local business owners to discuss how to balance private property interests with community values and concerns that commercial properties on Main Street remain affordable to small businesses. As rent and real estate prices have risen, the village government, community leaders, and residents have taken steps to assist local businesses along Main Street. Community groups promote the local economy by reminding people that they can make a difference and support local merchants. A new law allowed several restaurants to set up outdoor tables along Main Street’s sidewalks, and the community donated funds to pay for Wi-Fi throughout the street. Most importantly, local businesses prosper because they know their customers and make adjustments to meet their preferences and create a personalized shopping experience. Residents also are working with the village Architectural Review Board to refurbish and transform some of the street's historic mansions — such as the Gingerbread House — into functional retail spaces for commercial use. 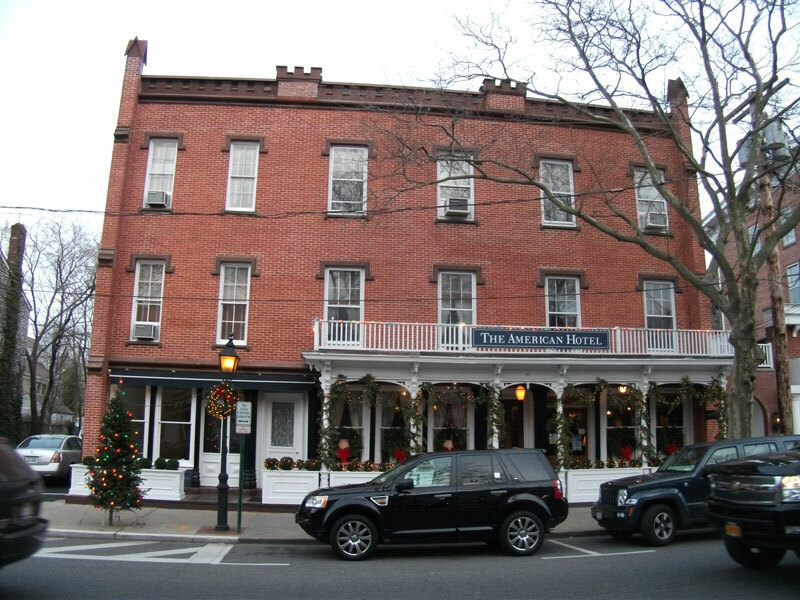 Without these historic buildings, wrote the New York Times's Peter Applebome last year, many residents believe Sag Harbor's Main Street would be "like Earth without gravity." The American Hotel. Photo by Flickr user Doug Kerr (CC BY-NC-ND 2.0). Shops and local businesses along Main Street. Photo by Flickr user Pamela V White (CC BY-NC-ND 2.0).